Local Plant Pharmacy infos for different plants, 2018. 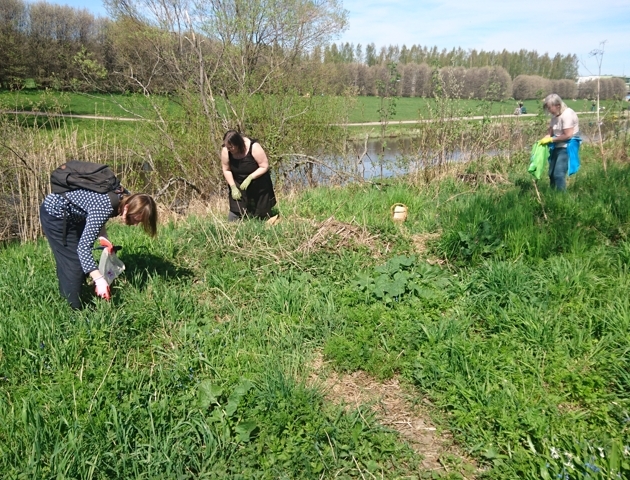 Plant Ambassadors collecting plants, 2018. 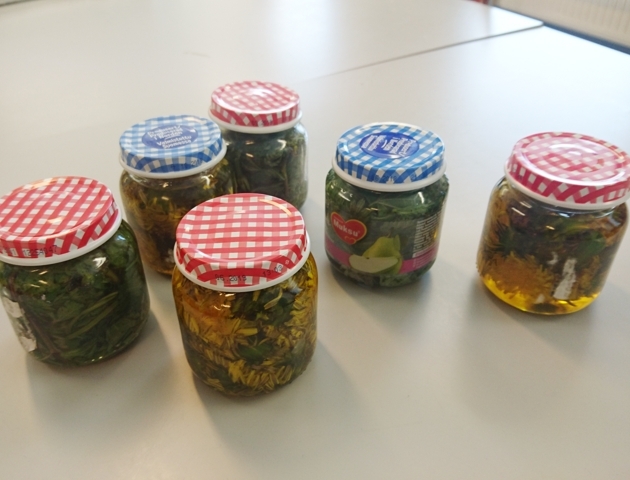 Plant oils and tinktuura in making, 2018. 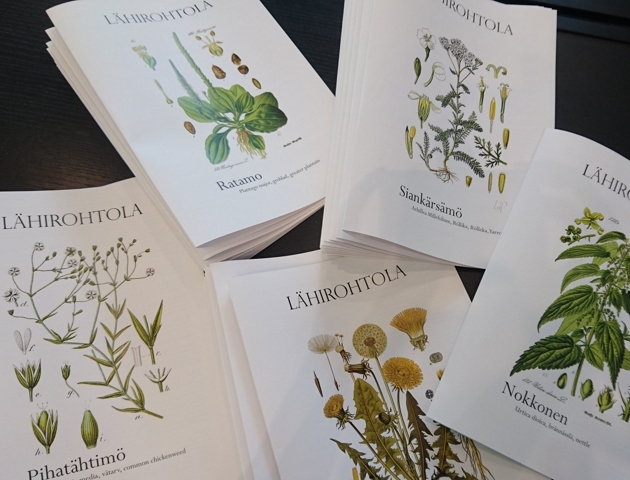 Lähirohtola (Local Plant Pharmacy) is a community art project that aims at establishing a plant pharmacy where from the neighborhood residents can collect local plants and information of their use. The plants in the pharmacy are naturally growing in the area and can be foraged by anyone. Most of them are even familiar to many but not so many know about their features that ad to the well-being of humans. 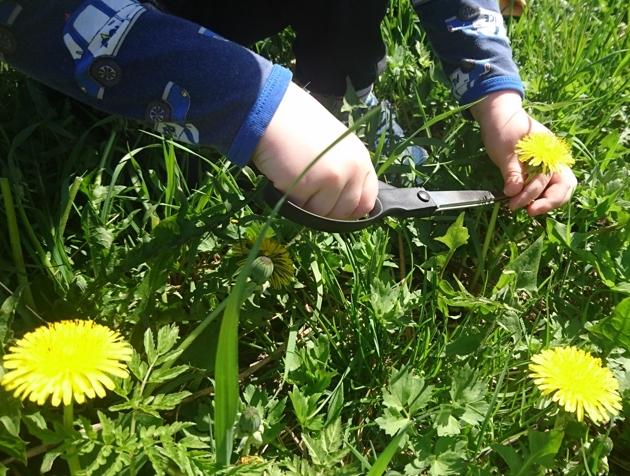 They are usually considered as unwanted weeds. 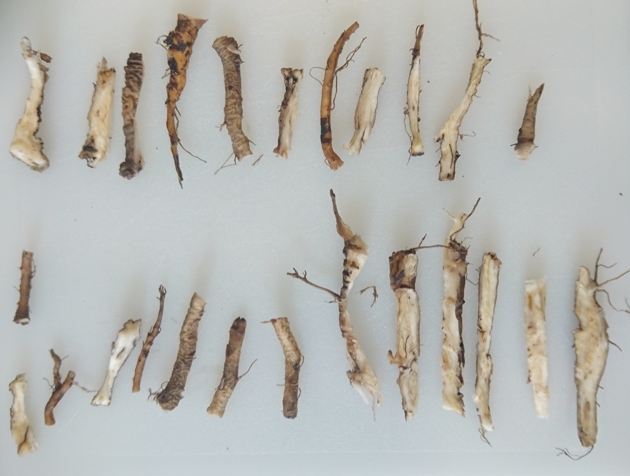 The idea behind the project is to present plants as companions, collaborators and members of the community. This happens trough learning about them and establishing an empathic connection with them. Lähirohtola is created together with the Kaarela neighbourhood in Helsinki, Finland. It starts with the work of local Kasvilähettiläät (Plant Ambassadors) who represent five different plants. The Ambassadors collect their plant from the neighborhood and store it for the later. They also spread information about their plant, use of it and how to collect and eg. dry it. The Ambassadors take part in the plant walks Mari Keski-Korsu organises in the area and they can organise their own walks as well. All the collected plants are then stored in the Plant Pharmacy, an art installation that is available for the neighborhood throughout the winter. If the neighborhood accepts the ownership of the Plant Pharmacy, it can continue for the next summer and be filled with new dried plants, maybe even added some new species. The Plant Pharmacy has five plants at the moment: yarrow, dandelion, nettle, greater plantain and chickenweed. 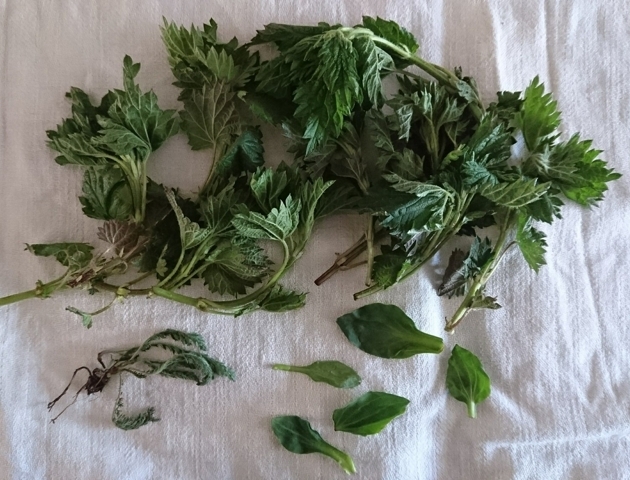 Folk healer and phytologist Maaria Alén is consulting the use of the plants. Lähirohtola is a project in Taidekehä, a community art projects series organised by Helsinki Artist Society. Thank you coordinator and producer Anna Puhakka. -> Lähirohtola was exhibited in Kanneltalo, Helsinki 6. – 27.12.2018.